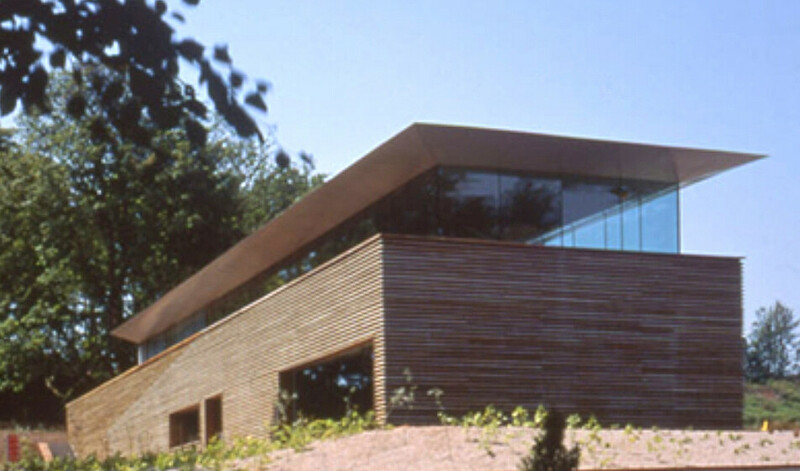 A purpose built, two-storey visitors centre incorporating ticket office, shop, gallery, audiovisual facility, lavatories and a restaurant: the design had to blend in with the surroundings of the natural landscape. It is an unashamedly modern building that stands in stark contrast to the spirit of nineteenth-century invention embodied in Mount Stuart, a neo-gothic Victorian Mansion. 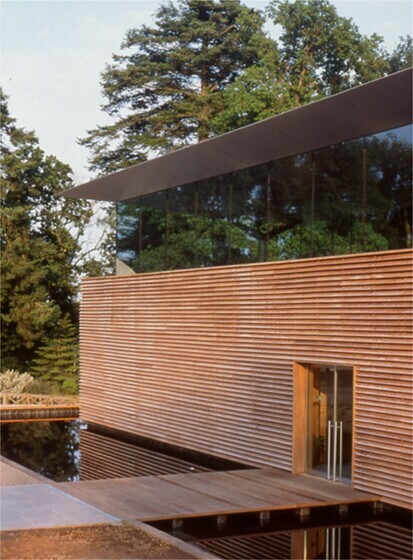 Complementing and accentuating the beauty of its natural surroundings, the centre is wrapped in weathering hardwood louvres with frameless glass walls on the upper floors. 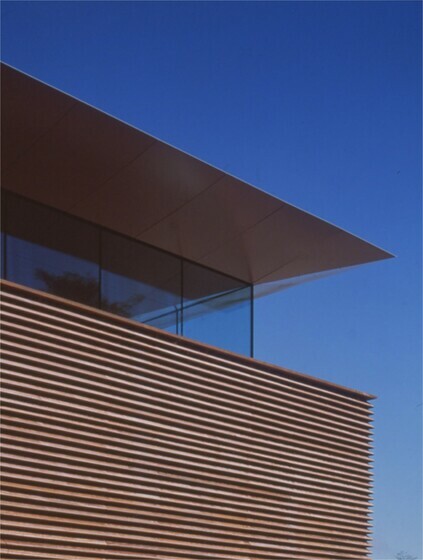 The centre uses low-energy solutions where possible, vents in the façade of the restaurant provide ventilation for example, and natural daylight is used extensively.